Discover and learn one of the most reliable and easy-to-use Operating Systems around! Do you want an excellent Operating System and be able to use it for FREE? Come on, you're close on the right path of discovering and experiencing it! If you are in need of a fast, reliable, secured, flexible, easy to use and understand, and most importantly, it is a compatible software to all devices; here it is, the Linux Operating System. Linux is one of the most reliable Operating System (OS), a fast way to use different applications, and it's FREE to use and download. That makes this Operating System stand out with the others. It is just ONE CLICK away and you'll enjoy the perks of having this OS in your own computers or devices. More than anything, Linux can be used for a variety of applications. Whether you're opting to create a better system for business, or just want to be more creative and play around with things, Linux can help you do a great job. If you're too curious and eager enough to know more about this Operating System (OS) and its process, this book will help you understand it better. 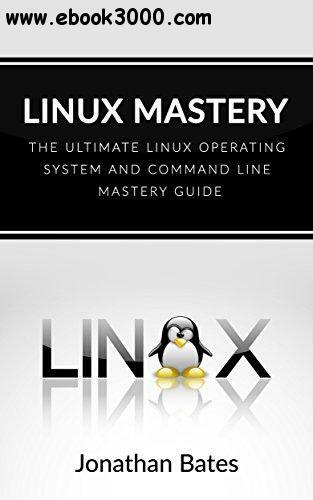 The "Linux Mastery - The Ultimate Linux Operating System and Command Line Mastery Guide" book gives you all the information that you want to know about this "one of a kind" Operating System. Furthermore, this book contains proven steps and strategies on how to make use of Linux, whether for work or play, understand the commands that you have to use, choose distributions, and understand exactly why Linux matters-and more.